Today, sales has changed. The customer knows more about your solution before you walk in the door. And with fewer than 55% of sales reps making quota, the standard presentation will not suffice. Customers are looking for a more engaging and meaningful dialogue. But this new mobile world makes it harder when 33% of business professionals join a meeting from a mobile device. And 37% work from three or more locations. 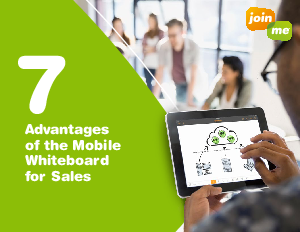 Download this white paper to discover how to get the most of mobile whiteboarding for your next sales call.